Can Physical Exercise Make You Smarter? Physical exercise makes our bodies healthier by helping to control weight and reducing the risks of various chronic diseases, including cardiovascular disease, Type II diabetes, and some cancers. 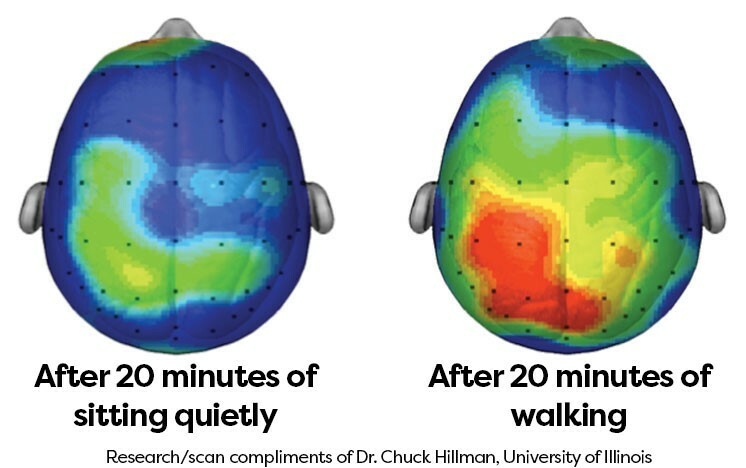 But can physical activity also make you smarter? Brain plasticity, or your brains ability to change over time, is associated with intelligence, increased brain volume, memory, and mood. A study conducted in Australia showed that exercising as little as 30 minutes improves memory, information processing, and motor skill coordination, all associated with brain plasticity. Exercise also enhances neurogenesis, or the creation of new brain cells in a mature brain; exercise studies performed on animals proved that running doubled the number of neurons produced in the hippocampus, a portion of the brain connected with memory and learning. In parallel, neuroscientists at the University of California, Berkeley established that stress hormones destroy brain cells, eliciting long-term changes in brain structure. Such changes can cause anxiety, mood disorders, and even learning difficulties. To lessen stress hormones, physical activity may help. While exercising, blood pressure rises causing your brain to think you are in fight or flight mode. This allows the brain to release brain-derived neurotrophic factor (BDNF) proteins and endorphins, which both work to deplete stress hormones and prevent the destruction of brain cells. So which type of exercise is best for neurogenesis and long-term brain health? Researchers at the University of Jyvaskyla in Finland analyzed the effects of running, high-intensity interval training, and weight training on a large group of male rats compared to a sedentary group. The running group was found to have the greatest amount of new neurons, or high levels of neurogenesis. The high-intensity interval training group had minimal increases in new neurons. The weight training group had no neurogenesis. This does not mean high-intensity interval training or weight-lifting do not have their own way of contributing to your well-being; these types of exercises still have great physical health benefits. Just add in an occasional session of moderate cardiovascular exercise such as walking (which can be part of your active commute), swimming, cycling, or running, to boost brain power.